Razer has come to the floors of CES 2016 with a sleeker laptop named Blade Stealth. As the name suggests Razer Blade Stealth is just 0.5 inches thick. Even though the company managed to cut down the thickness, it was not ready to compromise itself with the specs. 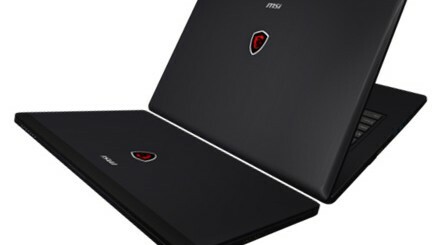 The laptop is introduced at CES 2016 as the slimmest and light-weighted device. Being sleek in design, this device is about to give nightmares to famous players in the Ultrabook market. Let us have look onto the specifications of this latest laptop. The new Razer Stealth measures to be 12.6*8.1*0.5 inches and weighs just 2.75 pounds. This weight loss became possible when Razer excluded its own distinct graphics in this device and instead packed the new device with Intel Integrated chip. But the gaming folks need not worry. Razer will be launching own version of graphics enhancer named the Core and it will be launched by the second quarter of 2016. The external designing of the device is extra-ordinarily great. Shining green tri-snake emblem on the lid adds to the beauty of the device. The new Blade Stealth is lighter and thinner than the competitors like Dell XPS 13 (weighing 2.9 pounds with a measurement of 12.8*8.9*0.33 to 0.6 inches), Lenovo Yoga 900 (which weighs of 2.8 pounds and having 12.75*8.86*0.59 inches) and MacBook Air (weighing 2.6 pounds with 12.8*8.9*0.11 to 0.68 inches). Blade Stealth’s display is even better than its exterior. The display is loaded with 12.5-inched screen with 4K display. The screen resolution comes to be 3840*2160 pixels along touch enabled. According to the company, Blade Stealth’s display is loaded with 100% Adobe RGB colour gamut. When you are viewing an image or video, you could see every aspect in detail. The keyboard of Blade Stealth is loaded with backlit feature. 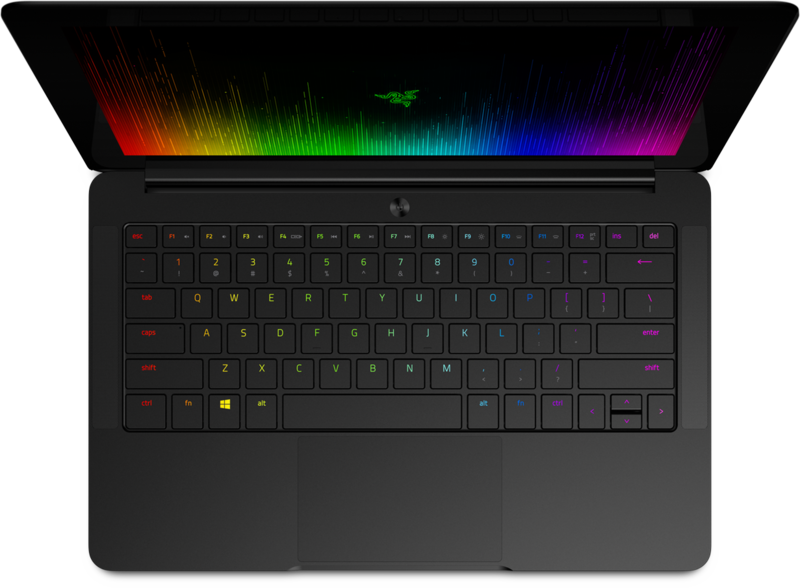 This makes Blade Stealth the first laptop in the world to feature individually backlit keys.Chroma technology of Razer helps the user to map each key on keyboard in 1 out of 16.8 million colours. Extensive gamers can make use of advanced lighting effects to make their own customized light show. Razer is always known for its high grade performance and high end processors. The price you are paying for the premium device matches the specifications packed under its hoods. This device is powered by Intel Core i7-6500 dual core processor that clocks at a speed of 2.5GHz. This device is loaded with a RAM of 8GB. This device is also features a storage capacity of 128GB on PCIe SSD. This processor is also supported by Intel HD Graphics 520 GPU. With all these premium features Blade Stealth starts with a price of $999. Razer Core is the alternative that company is planning to launch with its own graphics supporter. It is considered as the enhanced version Razer Blade Stealth, which features an integrated Intel Graphics interface. The Razer Core is protected by aircraft grade aluminium case. The dimensions come to be 13.38*8.6*4.13inches. This is more powerful and packed with extensive features than Graphics Amplifier from Alienware. But these amps have something in common which is the custom lighting. But amp backlit zone of Alienware is packed with small alien head logo whereas in case of Core, you can see its entire interior as if seeing through a window. Just like other graphics enhancers, Core also uses its own GPU situation. Core is lot easier to handle when compared to Graphics Amp from Alienware. Placing and taking away the Graphics card is just a child’s play. One GPU is placed, you can load the system and experience the enhancement. The frequently encountered problem with Alienware Graphics enhancing app is the difficulty of Alienware laptop in recognizing the enhancement. But in case of Core, this problem stands out. Core can be connected to Blade Stealth with the help of USB-C port. It may take a matter of just 3-4 seconds to identify the GPU by the system. Even though Razer came up with finest laptops with higher grade of performance, many users stood away from the device. The major reason was its high pricing. With the launch of economical and affordable Blade Stealth, Razer is planning extensively to widen its user base.